Tickets subsist in our society since we have had places to use them. Tickets continue to play a significant part in making the event successful by allowing entry to only those people who are either invited or have purchased the ticket to attend and enjoy the event. There was an era when printed tickets dominated the market. However, due to lack of tools these printed tickets had almost no designs and there was no branding approach. Eventually, technology evolved and so did the quality of printed tickets; now we not only see breathtaking ticket designs, but we could buy tickets right from our smartphones. Sphinx Solution came into existence with a vision to utilize technology in such a way that whatever products we develop should bring value to the user’s lives. Our continuous efforts to make a difference helped us excel in our field, and today we feel proud to present to you our highly customizable online ticketing solution that is meant to completely automate the ticketing process. Our solution is aimed at saving time and allowing people to buy tickets conveniently using whatever device they happen to be on. Believe us; our tried, tested, and used, online ticket booking platform is an answer to any product or service that needs to be reserved, rented or booked. “We have tried to create the best ticketing solution by combining the best available technology and services with an aim to engage audiences and event management companies through different phases of the event lifecycle”, said our CEO, Mr. Anand Mahajan. For an event organizing company, it is quite hard to bundle tickets along with other value-added services. We understood this and therefore, we created a seamless and easy to use ticketing solution integrated with value-added services from both the user and service provider’s point of view. 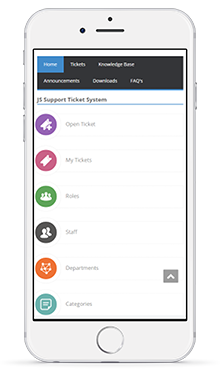 Collaborate with us and you get access to our ticketing solution. We will provide you with a personalized dashboard using, which you can manage, even the tiniest aspect of your event from any device 24/7. The dashboard allows you to create an event, add and manage your event listings, update a venue-seating plan, manage ticket allocations, update event details, and other relevant activities essential in managing the event effectively. No event creates curiosity and an aura unless popularized. Thus, for popularizing and branding your box office or your ticket shop, you are free to customize settings, choose themes, select the appropriate color scheme and add logos. If you feel like adding more people to scrutiny and manage the event, you can add multiple people as admins by offering them access to your dashboard. We know how much it is necessary to promote or brand an event to make it successful. Therefore, we have integrated our ticketing solution with a host of tools that will help you in promoting and branding your event. 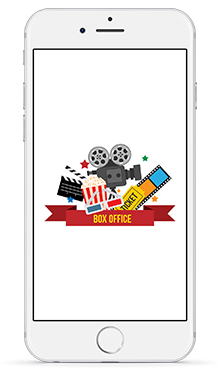 For an instance, you can share the link to your customized box office on different online and social media platforms from within the app. This will help you in populating your event and reaching different audiences, that otherwise would not have been possible. To make your event viral, we will customize the solution to meet your unique needs so that you can easily integrate different offers and discount coupon codes for various categories like early birds, last minute deals, group booking, etc. Furthermore, we have made it easier for you to manage your database using a state of art technology. Our online ticket booking solution can be easily integrated with MailChimp and other email marketing platforms that will help you in building and managing your own database. You can later use this same database to update the audience and fans about the next similar event happening in a particular area. We have developed an all-round ticketing solution that supports ticket sales via multiple sales channel. 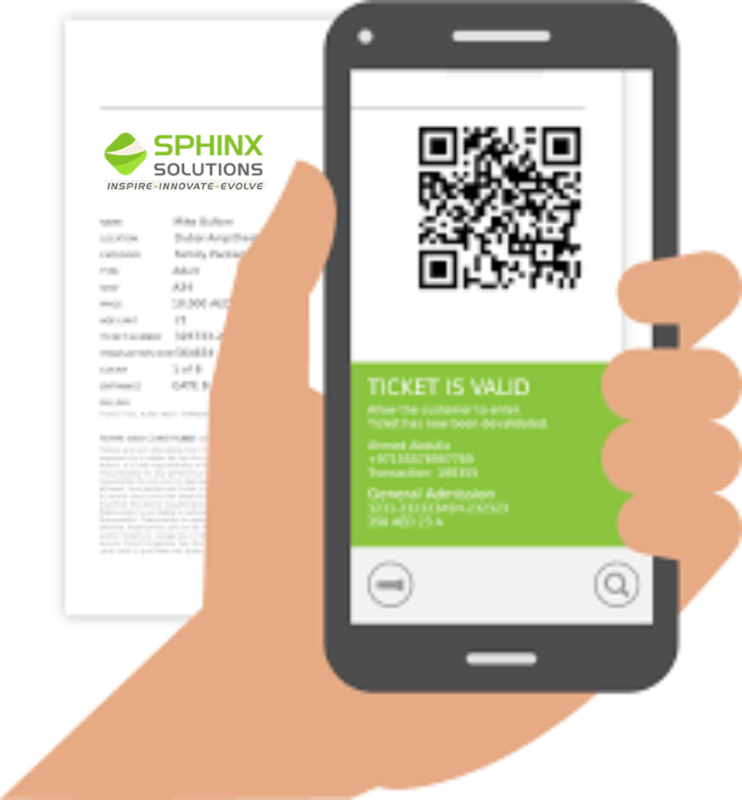 Using Sphinx Ticketing Solution it is perfectly possible to streamline various ticket selling channels like mobile app, web, kiosks, and venue box office in one single software solution. In addition to that, the solution is compatible and secure enough to process and receive online payments through multiple payment options like debit or credit card, e-wallets, online transfer, etc. Furthermore, the solution with its inbuilt functionality to identify face-to-face payments against the sale allocation helps event organizers to prevent overbooking. Obviously, people prefer buying tickets online to skip the tantrums of carrying a hard copy of the ticket. Therefore, we have integrated our ticketing solution with ‘QR codes’ ensuring each booked seat generates a unique QR code. The audience entrance is dependent on the unique QR Code generated at the time of ticket booking. These QR codes are validated at the entry point with the help of a mobile app or wireless QR Code scanner. If required we can customize the solution to integrate e-tickets, thermally printed tickets and traditional tickets for the people who would like to print their tickets at home. We understand the necessity and importance of getting paid or receiving payments in a timely manner when you are managing an event. Therefore, a safe and secure payment gateway allows you to receive payments directly in your account without waiting for days to get paid. The solution we developed is aimed to provide value to your loyal customer base, and this can be done by adding your event box office into your Facebook page. This allows the various audience to interact with you and buy tickets directly on Facebook. Moreover, you can easily integrate our web ticketing solution with your own website ensuring no pages are left unturned in grabbing every single opportunity of selling tickets. This will enable your website visitors to buy tickets directly from your website. ‘Data is valuable’ – using our ticketing solution, you can actually save or download data related to visitors, ticket buyers or subscribers in any format you like. Integrating subscribers or ticket buyers with your email-marketing list further helps you in notifying audiences about the next event you will be hosting. Managing audiences is the worst part of any event. Undoubtedly, the audience does possess the potential to make or break your event, for better or for worse. Hence, a set of tools bundled in our ticketing solution helps you in streamlining the front house experience. Depending on your requirements, we will provide you with the tools to validate the QR code either at the time of entry or just a printed list of audiences attending the event. 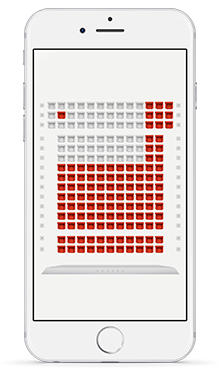 Our high-end Android and the iOS ticketing app helps you in keeping track of every sale. 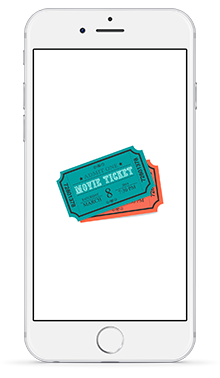 Additionally, the same mobile apps can be used to scan and validate the ticket barcodes. If you want, you can ask us to integrate a professional wireless scanner and we will do it for you. We will even ease your post-event activities by offering a discreet data analysis, detailed sales report, and event accounting statement in the same ticketing solution. The increasingly rapid shift of technology is forcing the entertainment industry to migrate and adopt the mobile platform. By incorporating mobile payments and eliminating the need to carry physical tickets, you are actually enhancing the audience experience of enjoying the event. Reports and facts back the mobile-first behavior of global consumers to carry out versatile transactional and personal activities, which includes banking, social media engagement, and networking. Therefore, it is better to grab the opportunity and encash the global trend of increasing consumer spending on live events like music, sports, entertainment, conferences, and exhibitions with our prolific online ticketing solution. Sphinx Solution has developed a great ticketing solution after finding significant strategic and tactical gaps in the current ticketing solution. For a free demo of our Ticketing Solution, give us a call on +91-20-24464646, email us at sales@sphinx-solution.com or leave your details in the Contact Us section of our website and we will get back to you on the same working day.